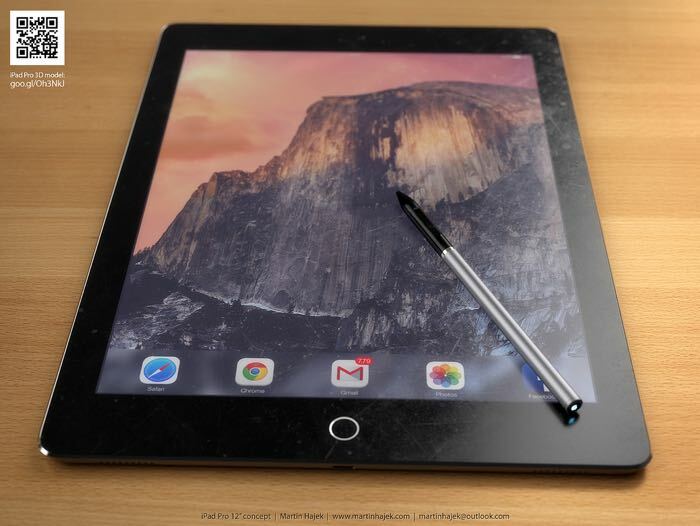 Apple is expected to launch their new iPad Pro tablet later this year and according to a recent report, the device will go into production in September and will go on sale in November. The iPad Pro is rumored to come with a 12.9 inch display with a resolution of 2732 x 2048 pixels and the tablet will apparently be powered by a new Apple A9X processor. The Apple A9X processor will be a more powerful version of the A9 which will launch with the new iPhone 6S and 6S Plus in September. The device is expected to come with a fingerprint sensor and a range of storage choices, possibly with a 256GB options, the tablet is also rumored to come with a stylus. According to a recent report by Digitimes, Apple will place an order for the initial run of the new iPad Pro than it has done with other devices, as the company does not know how popular the device will be.